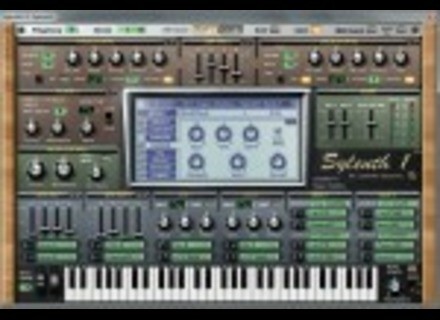 Soundset 1 for Sylenth1, Other CD & Sound Bank from Togeo Studios. Togeo Studios has announced the release of Soundset 1 for Sylenth1, which consists of 512 presets, four complete banks, for Lennar Digital's Sylenth1 synthesizer. Soundset 1 for Sylenth1 is currently available for the introductory price of €29.99 until the end of the year (25% off the regular price of €39.99). A set of 64 free presets for Sylenth1 is also available. Intermorphic Mixtikl v2 Intermorphic has announced the release of version 2.0 of Mixtikl, the "Generative Music Mixer for Mobile, Web and Tweets" (the released version is actually v2.0.0.77). u-he Releases ACE v1.0 u-he has announced that version 1.0 of ACE (Any Cable Everywhere),a synthesizer plug-in with modular features, is now available for Windows (VST) and Mac OS X (VST, AU and RTAS). TC Electronic Updates M30 Reverb TC Electronic has updated the M30 Studio Reverb plug-in to v1.0.2, fixing a couple of bugs found in the first version (1.0.1).